Good news for students and parents in the Philippines. Senate Bill No. 1304 or the “Free Higher Education for All Act" has just been approved by the Senate, and was already transmitted to the Office of the President for approval last July 5. Unless President Rodrigo Duterte vetoes or signs it earlier, then the measure would automatically lapse into law after 30 days or on August 5. 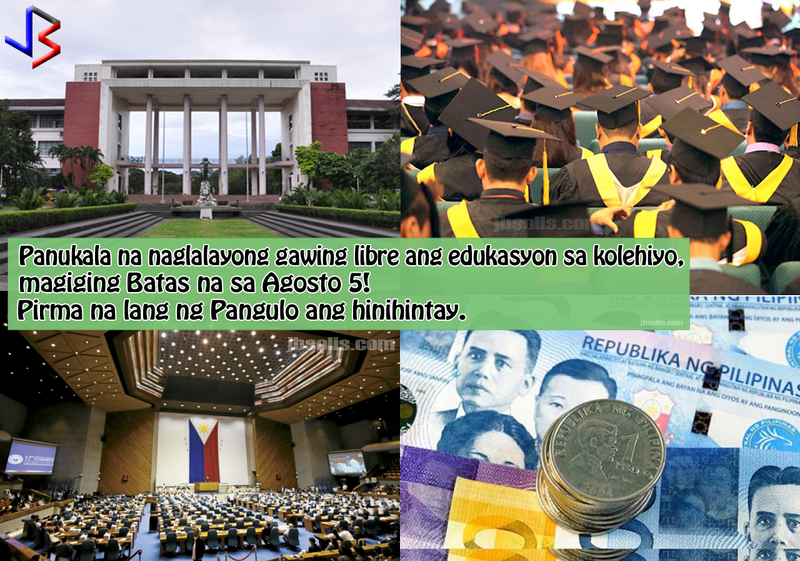 The law would provide tuition subsidies and financial assistance to students in state universities and colleges (SUCs) and private higher learning and vocational institutions. “In line with the mandate of our Constitution, the State must uphold the right of all citizens to quality education at all levels,” Senator Bam Aquino said in a speech when he sponsored the bill on the floor as former chair of the Senate committee on education, arts and culture. So who are to benefit when the bill is signed by the President into law? Similarly, students in private institutions can also avail of a "subsidized loan" to fund their education. Requirements are set by the bill. For example, to enjoy the free tuition, a student taking a four-year course must finish it or graduate within five years or lose the benefit. This will dissuade students from shifting courses and motivate them to finish their studies. According to statistics, there are 645,566 students in the country’s SUCs and it would likely cost the government about P16 billion annually to make tuition fees free across these institutions, noting that the annual weighted average tuition in SUCs is about P10,000 per year. Just a few months ago, the government announced the allocation of about P8 Billion pesos in budget to fund the free tuition fees of various SCUs in the country for 2017. Sen. Aquino was criticized for falsely claiming credit for the P8 Billion allocation. It was actually Sen. Lacson who discovered the amount as pork barrel of the DPWH. The Senate then moved to realign the money for education. 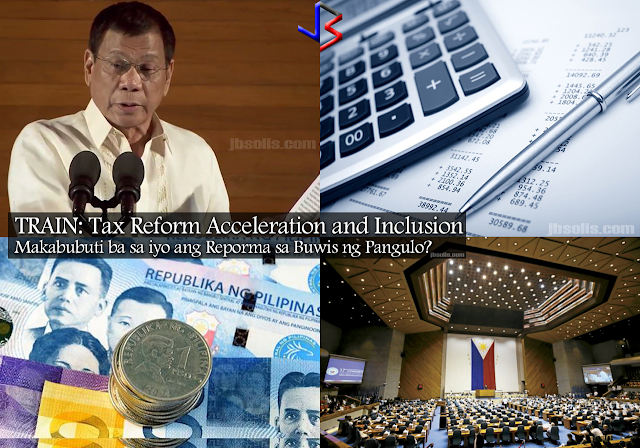 TRAIN: Is President Duterte's Tax Reform Plan Good For You? Which Last Name Should An Illegitimate Child Use And How To Use The Father's Surname? 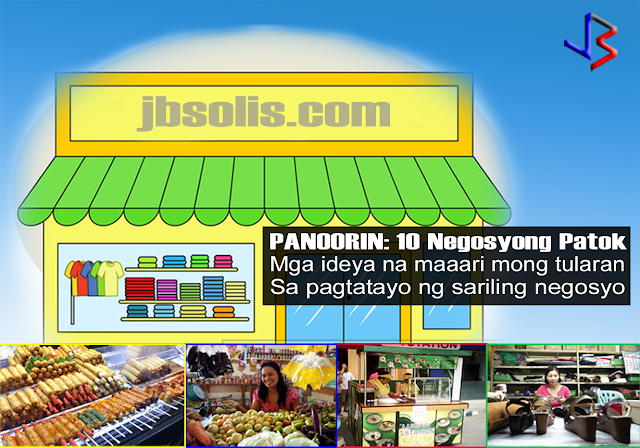 Watch: 10 Business Ideas For You - Choose Now!